TN SSLC Hall Ticket 2019: Tamil Nadu Board is going to conduct the Secondary School Leaving Certificate (SSLC) /Class 10th academic examinations in the month of March. The SSLC exams are scheduled to be held from 14th March to 29th March 2019. The Tamil Nadu Directorate of Government Examinations (TN DGE) is going to conduct the SSLC examinations this year. More than 10 lakh students are going to appear for Tamil Nadu SSLC examinations this year. The DGE Tamil Nadu will organize the SSLC Examinations in a large number of examination centers across the state. Students pursuing in Class 10th/SSLC in Tamil Nadu can prepare well for the examinations to get the good score. To attend the final examinations, students must download TN SSLC Hall ticket 2019 as a must. Students can visit the TN DGE official websites tndge.in or dge.tn.gov.in to download the hall tickets, which are going to be released shortly. 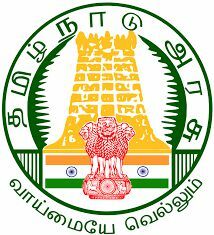 Tamil Nadu Board of Higher Secondary Education (TNBSE) is the state government educational organization that monitors the SSLC and HSC education in the state. Tamil Nadu DGE annually conducts the 10th class (Secondary School Leaving Certificate) and 12th class (Higher School Leaving Certificate) examinations for the students in March/April months. The TN DGE is going to release the results in May month. Students pursuing in 10th, 11th, and 12th Classes can now check the date sheet from TN DGE official website, dge.tn.gov.in. Students presently pursuing the SSLC in the state of Tamil Nadu can get ready to attend the final examinations in the month of March. Students pursuing 10th/SSLC in Tamil Nadu can download the hall ticket before proceeding to the examinations. The hall ticket will be available on TNDGE Official website, tndge.in. The hall ticket is the most important document to carry to the examination. Students must carry the hall ticket without fail to attend the test. Before sending the students to the examination, the exam invigilators are going to check the hall tickets of the candidates. If anyone misses showing their hall ticket, they will not be sent to the examination. Step-2: In the home page you can find various links, from that select the SSLC Admit Card / Hall Ticket 2019 appropriate link. Step-3: Now, you will be navigated to another page where you need to give the details such as exam name, Application No. and Date of Birth in the respective fields and finally click on Submit Button. Step-4: Now, your TN Board SSLC 10th class board Examinations Hall Ticket will be displayed on the screen. Step-5: You can download and take a print out of it for writing the exams showing it in the examination center.